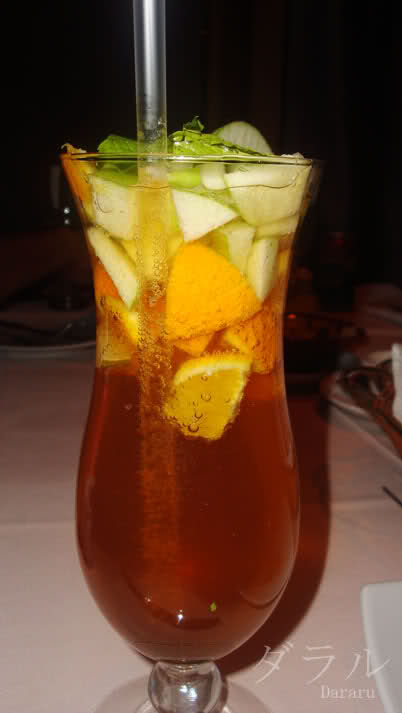 1 cup Mixture of fresh fruits(apple with skin, Oranges skin, strawberry and pineapple) cut into chunks. Put all your fruits in a serving jug. Just before serving pour in the Apple juice, sparkling water and 7-up. Decorate with mint leaves and ice and serve chilled.